Handsome Devil Tattoo Company in Bergen County, NJ is a premier high-end tattoo parlor. No matter what type of style or design you are looking for, one of our artists will work with you to come up with a tattoo to excite you. Our upscale studio is comfortable, clean and sterile. 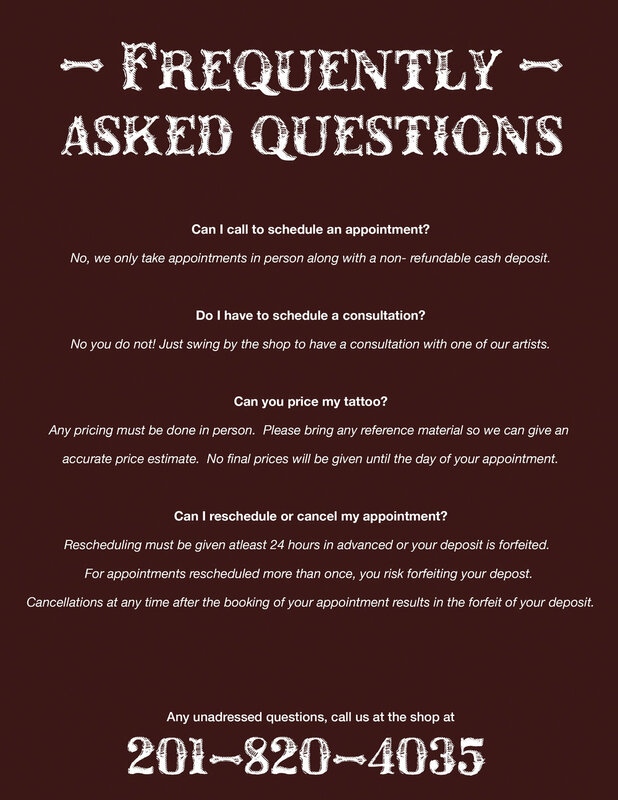 The artists and staff want to help you decide what will work best in your tattoo and you will always feel welcome by their friendliness. Handsome Devil Tattoo Company only employees formally trained tattoo artists from the best art schools in the country so there is no question you will get an artistic quality tattoo at an affordable price. We are conveniently located on Market Street in Saddle Brook, NJ across from the 7-Eleven. We invite you to drop in anytime during our regular store hours to consult with our artists and you can always tell your mom the devil made ya do it! Russell Kelley is a professional tattoo artist with more than 13 years of tattooing experience. Kelly cunningham is a professional tattoo artist with over 5 years of experience. She specializes in blackwork, geometric, ornamental, and illustrative designs and works with client's based on their individual needs. Joey jazz is a professional tattoo artist with 3 years of experience. Hours of Operation: Tuesday to Saturday: 12:00 PM – 8:00 PM, Sunday and Monday: Closed. Please note: Our business hours are subject to change at any time.